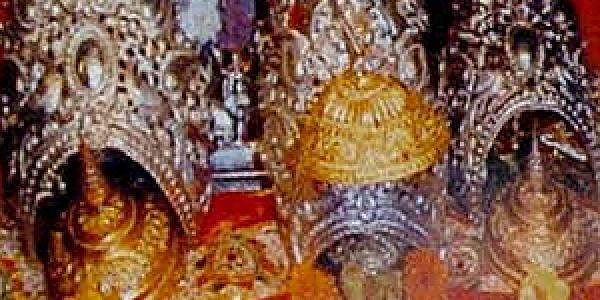 In order to control the increasing pollution level, the National Green Tribunal on Monday said only 50,000 pilgrims will be allowed to visit the Vaishno Devi shrine in Jammu. NEW DELHI: In order to control the increasing pollution level, the National Green Tribunal on Monday said only 50,000 pilgrims will be allowed to visit the Vaishno Devi shrine in Jammu.The tribunal Bench headed by Justice Swatanter Kumar made it clear that if the number of pilgrims exceeds the prescribed 50,000 cap, they will be stopped at Ardhkuwari in Katra town, considering that the Bhawan structure cannot accommodate more than 50,000 people at a time. The green panel also said that a new path to the shrine exclusively for pedestrians and battery-operated cars will be opened from November 24.The NGT directed that no horses or mules shall be allowed on the new route to the shrine and these animals shall be removed slowly from the old path as well. It also directed the authorities to impose a fine of `2,000 on anyone found littering the roads as well as the bus stop at the nearby Katra town. The green panel’s directions came during the hearing of a plea filed by an activist seeking directions to stop the use of horses and ponies in Vaishno Devi shrine premises in Jammu, prompting the green panel to seek response from the Government on the issue.The directions came while NGT was hearing a plea filed by activist Gauri Maulekhi seeking to remove horses and mules from the path to the shrine, saying it was dangerous for the pedestrians, especially the senior citizens.